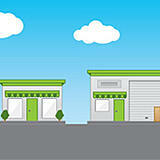 Not many businesses can deny the need for a couple or more warehouses somewhere along the supply chain. It’s not hard to understand why: typically having a warehouse per region ensures that stock can be shipped to the customers faster. That being said, having multiple warehouses is just the first step along the way to business scaling and growth, and can complicate the process for organizing warehouse inventory. One has to manage all warehouses carefully and properly – which can be a pain. If not, inefficiency, time delays, and costs will definitely skyrocket. But don’t worry; we are here to help. Read on to find out how you can manage inventory and stock efficiently across your multiple warehouses with our warehouse layout ideas, warehouse labeling ideas, and tips for using warehouse management software. Before we dive into our tips and tricks to increase the efficiency of your warehouse inventory management, it is paramount to understand the reasons for and goals of having multiple warehouses. The necessity for an additional warehouse or two is not limited just to multinational businesses. Some organizations need multiple warehouses to cover wide geographies inside a country – think of the fragmented Philippines or vast territory of the United States. Other organizations out there grasp the logic of not putting all your eggs in one basket – they have a second or even third backup warehouse covered by premium insurance plans to prepare for the just-in-case and worst-case scenarios. Warehouses are usually situated at strategic locations so that unnecessary additional transportation of the product from the manufacturing plant to the final destination is kept to a minimum. One has to strike a balance between speed and cost when mapping out warehouse locations to determine optimal accessibility with regards to both target consumer market and transportation infrastructure and facilities. In addition, having multiple warehouses also lowers the cost of transportation and labor, consequently lowering the cost to the consumer. In the unfortunate event that your warehouse burns down or disaster strikes and shipping your products out to customers is tougher than sending someone to outer space, there is at least a backup warehouse to cushion your business. The shorter the time it takes for products to reach your customers’ hands, the happier they will be. Simple. The mix of stocks kept at different warehouses can be synchronized and aggregated to fulfill various inventory needs at particular warehouses. Each warehouse inventory depends on needs of customers nearest to the warehouse and accessibility of sources from said location. Multiple warehouses can also consolidate products for purposes such as drop shipping and stock cross-docking. It is easy to overlook issues arising at warehouses other than the primary one you are focusing on or the nearest one. When things get busy at a particular warehouse, it can be hard to give the rest of the warehouses the attention and effort they deserve. Having multiple warehouses in this situation just compounds the multitasking problem..
As it is impossible to pack every staff member involved in multiple warehouse management into a singular office, remote collaboration can compound the level of difficulty in maintaining good communication between employees. Managing multiple warehouses effectively takes careful planning to ensure stocks don’t run out of supply, the wrong items don't get shipped out, and businesses don't suffer unnecessary costs among other issues. Efficient warehouse management software is critical to managing and automating your supply chain, running an efficient business, and taking care of your customers. Don’t overlook the importance of the geographic setup of your warehouses. Decisions on where to place your warehouse will have an impact on other aspects of the business such as logistics and operations, and usually requires some trade-offs. For example, the nearer your warehouses are to your consumers (the city areas), the higher the cost of renting the space and labor. The trick is to strike a balance between these factors and cost for transportation, labor, taxes, and utilities. Warehouse layout can significantly affect business efficiency because it determines how quickly and accurately goods are selected and shipped out to customers. The picking and packing process takes up most time and when the warehouse isn't organized, pickers might spend a great deal of time finding products to be shipped out. This is a waste of time, resulting in inefficiency, unhappy customers, and even lost sales. Consider implementing a more organized stock system to improve your warehouses’ layout. Additionally, make sure that items that get sold more often should be near the packing and shipping area. That way, they are more accessible in terms of finding and retrieving before they get sent out. Studying sales reports regularly will give you an idea on where, and how, to place goods inside warehouses. 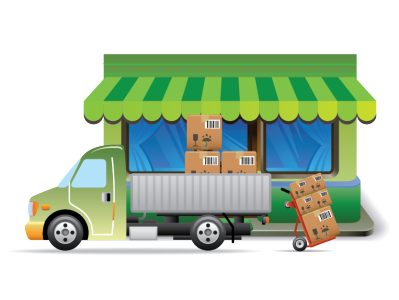 Also, note that sales trends and patterns continuously change and vary within different areas, so the organization of your warehouses have to reflect these location-specific demands for your products. Finally, ensure that all your products are labeled clearly and uniquely so that they can easily be retrieved when needed. Use our free SKU generator to create a clear naming convention for your products. We cannot emphasize enough how important it is to avoid having an aggregation of all or most of your business processes and activities, as well as stock, at one central warehouse despite having multiple warehouses. Aim to divide your most important and costly stock across warehouses so that you mitigate the risk of lost stock and profits if a worst-case scenario like a fire were to happen. However, reorder points dip and rise based on fluctuations in consumer trends and preferences, which change all the time and often in mysterious ways. Updating reorder points regularly will bring your attention to fast-selling products during a particular period and help you identify the quantity of goods you should order on a weekly or monthly basis. You can easily set and edit Reorder Points for inventory in the TradeGecko inventory management system. The Reorder Point option can be found in the Stock Options tab of the Variant Detail section. 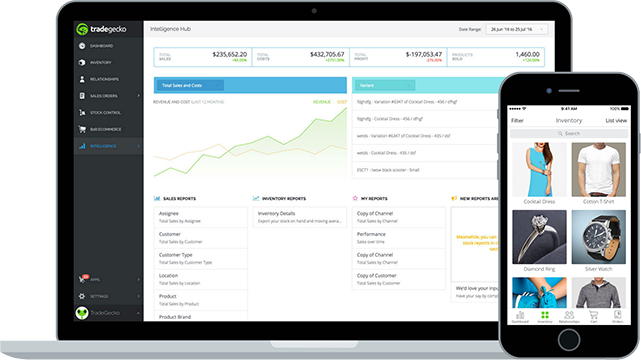 Businesses can also view their Reorder Report to keep track of stock inflows and outflows by clicking on the Intelligence button on the Main Menu tab. More detailed articles on how to maneuver the TradeGecko system to get the most of your mileage on inventory management can be found on our support page. Likewise, demand forecasting gives you valuable information about your potential in your current market and other markets so you can make informed decisions about warehouse management tactics and distribution. Mispicks happen when the wrong items are shipped to a customer. This is a serious case of time and labor wastage, a costly mistake, and can taint your company’s reputation. To avoid blunders like these, steer clear from manually managing and tracking the inventory, and automate your workflows wherever possible. The right inventory management system suitable for your organization will aid employees in organizing stock and selecting the exact products for shipment. Automating the processes you implement at multiple warehouses eliminates unnecessary costs and inefficient use of manpower and time. TradeGecko Connect, for example, enables you to automate repetitive and time-consuming workflows like order routing and communications, enabling efficient warehouse management across multiple locations. Put into action a process that cuts down personnel costs and time used to pick, pack, ship out, and restock an item, and monitor and report such activities. Double the efforts your employees put in by using a smarter system to organize and make the most of your manpower. Take pickers, for example: each time they go and take out goods to ship from the warehouses, make them bring in the same amount of goods they are going to retrieve so they can restock immediately. This improvement will save you lots of time and bring down operational costs. Hiring a highly competent warehouse manager can only get you halfway there; they will need all the help they can get when they are in charge of operating multiple warehouses. Problems are bound to happen and issues will arise at an exponential rate unless you have a reliable multi-warehouse management software. A sophisticated system will eliminate efficient processes, minimize hassles and errors, and ensure that your multiple warehouses have enough supply to meet demands. Use warehouse management software like TradeGecko that integrates with your accounting, eCommerce and shipping software to take advantage of a full cloud-to-cloud solution. TradeGecko also enables you to transfer stock between locations, send and receive goods from and into a specific location, create purchase orders, and much more. You can even gain real insight into stock and inventory movements and make decisions to improve your business based on our Intelligence Reports. What’s better, TradeGecko's multi-user platform allows your whole team to collaborate and keeps everyone up to date on changes in the inventory. This feature, along with our mobile order entry app, puts an end to troublesome emails and ineffective communication among warehouse management staff. Managing multiple warehouses definitely has its challenges but utilizing the right warehouse management software can streamline operations so you can get maximum results while keeping costs low. Are you looking for an effortless inventory & warehouse management solution?